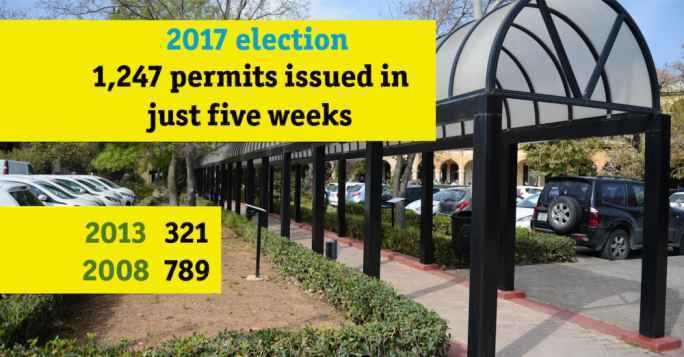 More permits were issued in the five weeks’ long election campaign of 2017 than in nine weeks of the 2013 electoral campaign, a MaltaToday analysis has concluded. The power of incumbency was well employed by the Labour administration this year, with an average of 38 permits a day – weekends included – issued during the last general election campaign compared to just five during the 2013 campaign, and 24 in the 2008 general election campaign, when the PN was re-elected by just 1,500 votes. 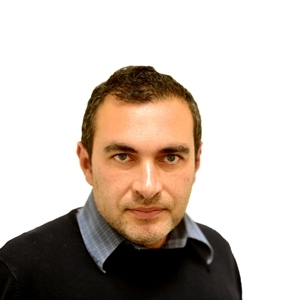 Additionally, an average of nearly five permits outside development zones (ODZ) were issued every day in this year’s campaign, compared to three ODZ permits per day in 2008 and less than one ODZ permit per day in 2013 – possibly the result of Lawrence Gonzi’s ‘ODZ is ODZ’ policy employed after his 2008 election win. A total of 364 permits, 46 of them ODZ, were issued in the last week of the 2017 electoral campaign. Only 60 permits were issued in the final ninth week in 2013 while 228 were issued in 2008. Significantly, the number of permits granted in the 2017 campaign increased from 168 in the first week of the campaign, to a record 364 in the final week. No such change was seen in 2013 when the number of permits issued in the first week of the campaign stood at 71, only to drop to 60 in the final ninth week. Additionally, in the two weeks prior to the general election, the planning board that dispenses permits on a day-to-day basis would meet everyday instead of three days a week as per custom. That means there were four extra board meetings in those two weeks. Certain applicants were also notified that board meetings to be held after the election, would be brought back to before the election date so that a decision is taken before voters cast their ballots. In total 1,247 permits were issued in the five weeks of the 2017 campaign, compared to 789 in the 2008 campaign, which had a similar duration. Only 321 permits were issued in the nine weeks-long 2013 campaign. Back in 2008 Labour leader Alfred Sant had accused the authority of being “in a frantic rush to approve as many permits as possible before the election” and described the increase in the number of permits as “a clear case of the system being rigged to suit the Nationalists”. 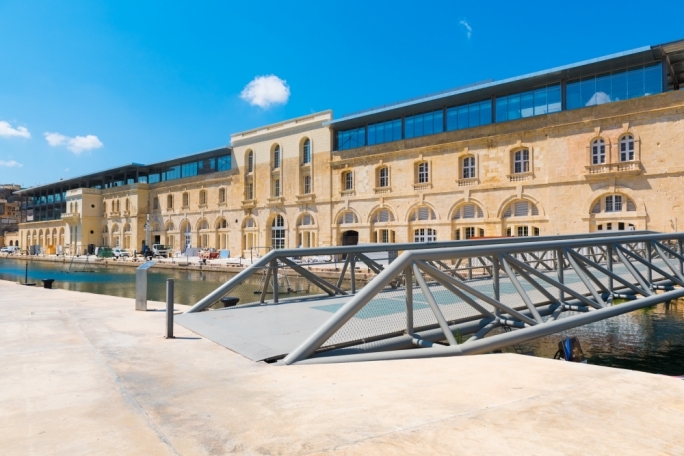 Controversial permits issued before the 2008 election included that for an ODZ winery in a Rural Conservation Area at il-Hawlija in Rabat and a 220% increase in the floor area for the Exiles waterpolo club which now includes a restaurant on its upper floor. A number of beach-rooms were also regularized in the Dwejra natural park. No such accusations were levelled against the Planning Authority in 2013 when the number of permits issued those three months were lower than in the five weeks-long 2008 and 2017 campaigns. But the low number of permits issued in 2013 must also be seen in the light of a slump in construction, which was reflected in a drop in planning permits issued between 2009 and 2012. The number of permits issued by the Planning Authority for residences fell to just 3,064 units in 2012, a far cry from the peak of 11,343 seen in 2007, according to Central Bank data. The most controversial permits issued in the 2017 campaign were an extension to the Gharghur fireworks factory in Wied id-Dis, approved on the eve of the election. 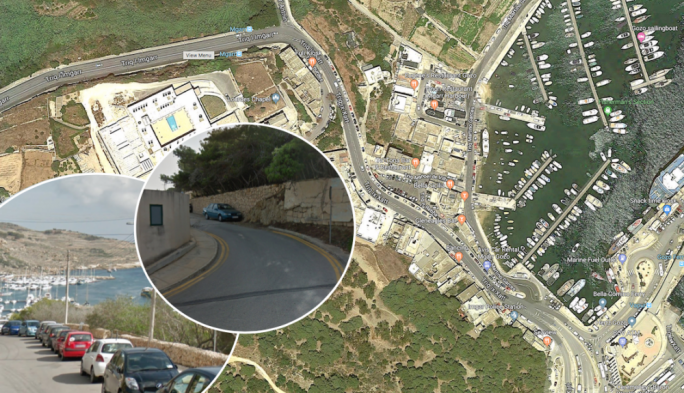 The PA also approved four villas lying outside the development zones in a hamlet in Triq Santu Rokku in Kalkara, despite four prior refusals by the Planning Authority for development on the same 1,400m2 site. The area is in the vicinity of the Wied Rinella valley and forms part of an Area of Ecological Importance, enjoying Level 4 protection – a level of protection accorded to buffer zones of areas enjoying a higher level of protection. 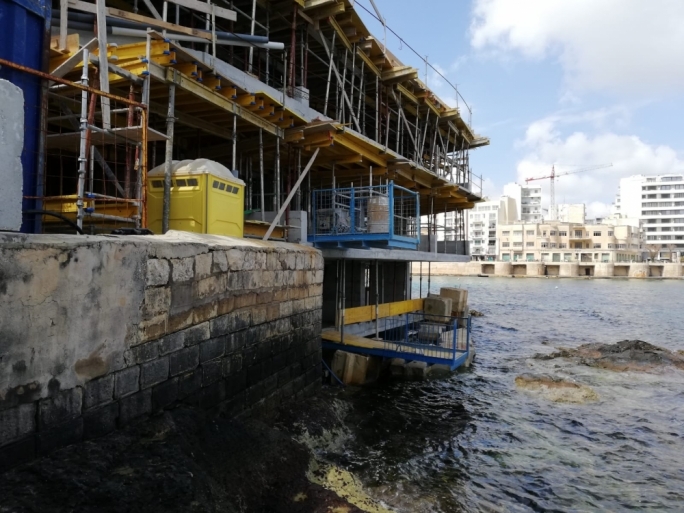 Two brand new dwellings have been approved in the Wied Ghomor valley in St Julian’s, instead of two dilapidated dwellings, while a cafeteria and a brand new dwelling were approved outside development zones in Wied il-Kbir in Qormi. 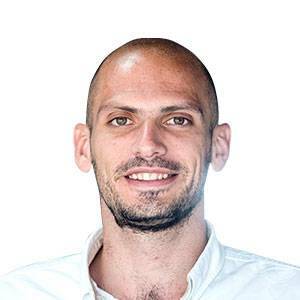 Azzopardi said Labour kicked up a fuss in 2014 over 13 encroachment permits he had approved as minister responsible for lands during the three-month electoral campaign of 2013. 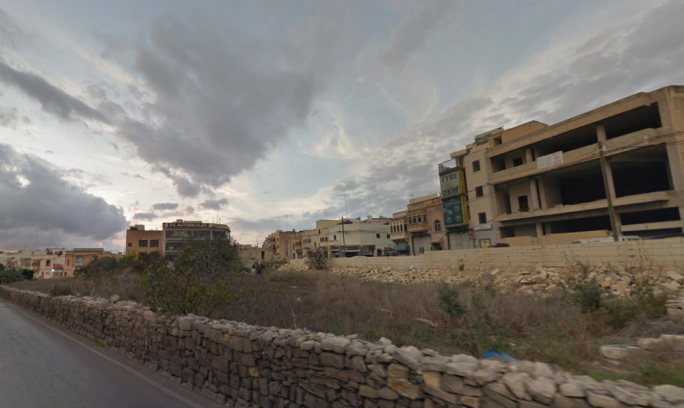 Encroachment permits are temporary, and among the 13 permits these included a basement store for a Hamrun band club and a Valletta parish, premises to two NGOs, an encroachment for tables and chairs for a Gozo restaurant, and a small tract of land for beekeeping in Mellieha.